Christmas is approaching, which means it's Best Of time in publications the world over. And, while we tend to avoid list-based articles on The Crafty Pint as much as possible (despite the fact the human psyche seems drawn to them like flies to moths to a lightbulb), this is one time at which we happily make an exception; after all, if we're going to spend the entire year writing about Australian beer and the community that surrounds it, why not look back and reflect on the highs? Between now and the end of the year, we'll be running Best Of lists from each state as well as one from the ACT, which is now home to five brewing companies. Each of the lists has been compiled by a panel made up of Crafty Pint contributors from each state or territory plus local experts who will each have tried a significant proportion of the beers released over the past 12 months, thus giving us as close to blanket coverage as is possible. The instructions we give to each of our panels are pretty simple: a beer must have been released for the first time in 2016, although this can include a new vintage or total reinvention of a previously released beer; ideally, no brewery should appear more than once in a list so, if a brewery has produced more than one cracker, only its "best" should make the ten. NB Cassie had to pull out of the gathering after a colleague's wife went into labour but provided her ten for discussion. The process saw each of the seven declare their top beers of the year; these were scrawled onto Post-It Notes and, in the sort of highly technical manner by which we assume the Nobel committees make their decisions, stuck onto a wall. We had set aside a couple of hours (and plenty of awesome beers) to come to an agreement on the ten but it turned out that ten beers had gained three or more votes and, upon evaluating that ten, we were happy for them to be the ten. Before getting to the list, it's worth acknowledging just how monstrous the Victorian, let alone Australian, beer scene has become in 2016. Thus, there are plenty of beers and breweries that might otherwise have made this list. On the day that the panel met, KAIJU! Krush had just landed at Slowbeer and was wowing panelists as we settled in, while there were advocates for breweries both established (Temple's One Time double IPA and Powerstance Pilsner, "officially" released at the start of 2016, both had ardent support) and new (a couple of Fury & Son's beers received votes and there was a feeling that here was a startup doing things right) who aren't featured below. But, as we said above, everyone on the panel was happy to put their names to this ten in the year in which more beers were up for consideration than ever before. Seven panelists. Seven votes. Yes, we all have different palates and different preferences, but Holgate's Wild Red Ale, a Flanders red style ale, appeared on every single panelist's list, which feels like quite the achievement. The beer is the result of blending various beer-filled barrels and was one of those rare moments when everything comes together to create something magical, something more than mere liquid in a glass. Possessing complexity in its aroma, in its texture and in its flavour – all singing together in perfect harmony – it was a stop-you-in-your-tracks kind of a beer, the sort that doesn't come along very often (unless you're Founders) and one we pray Holgate and their barrels can recreate – or at least get close to – for the next vintage. Indeed, speaking of vintage, we reckon you could put this next to Rodenbach's annual Vintage release and it would hold its own. 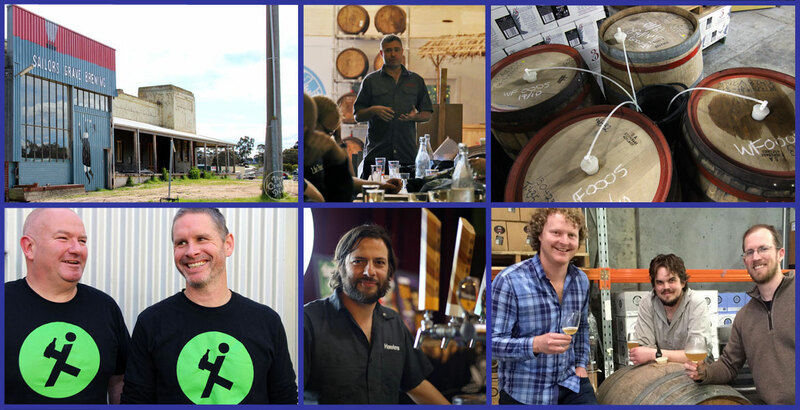 Given the Woodend family-owned business is in the process of building a large new brewery and visitor centre, it's probably a good time to be reminded just what Paul and his team is capable of as they nudge ever closer to two decades of brewing. 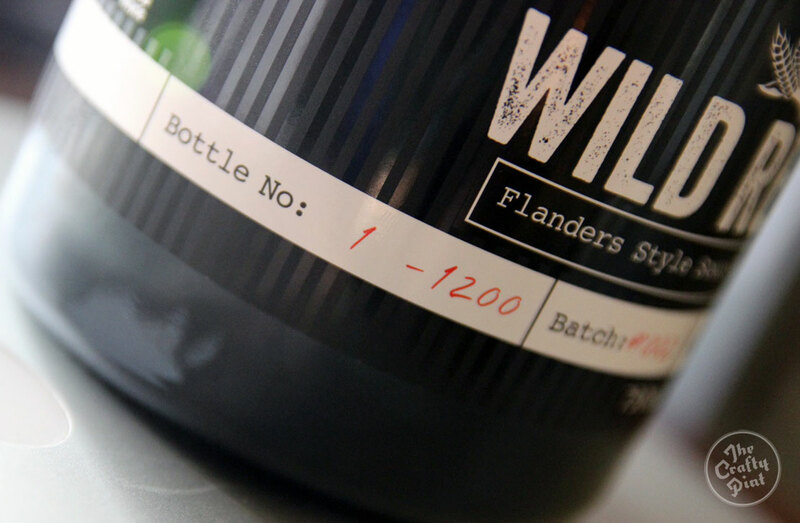 As an aside, their rep dropped bottle number one of Wild Red into Crafty Towers as a sample before it was released. We then managed to obtain another bottle so that bottle remains unopened. Paul and Tash, presumably we'll be sharing it with you and the brewers next time we're in town! You might think a beer released in the dim and distant past that is January 2016 could be forgotten by the time such a panel meets. But no. In fact, it seems for some that the first meeting of their olfactory system and this beer lives on vividly in the memory. Lean, tight and dry yet delivering big on the hop front, this was the opening salvo in what was to turn out to be a pretty sweet year for the Thornbury veterans. 3 Ravens actually received the most votes of any brewery, with the Juicy IPA (head brewer Brendan O'Sullivan's highly technical take on the frequently maligned New England style) and the multiply-fermented, blended Old Brown that kicked off the Wild Ravens series also gaining multiple votes. But the US IPA got the nod. Given Brendan has been retro-fitting the brewery to accommodate all manner of sour experiments – and they now have a ten tap brewery bar welcoming punters – it feels like the Ravens could be taking flight anew. Adrian McNulty brewing what would turn out to be one of our best of the year. For the most part, this list is presented in no particular order. But, with the Wild Red Ale such a standout, we felt we'd compile a podium of three. Thus, the Double IPA above is our unofficial silver medalist and Jukebox Hero walks away with bronze. The beer first appeared a few year's back and we commented at the time how it was a pretty un-Moon Dog kind of a thing: "so damn polished, so damn well made, that we wondered whether those who lust after their wildest and craziest concoctions would be disappointed". More recently, they took the decision to stop packaging it and, as they looked to expand the brewery and introduce an expanded core range, Jukebox Hero seemed a little lost. Then senor brewer Adrian McNulty decided to inject new life into the beer. The old recipe was abandoned and new iterations of the beer were trialled. In the end, it was lucky number seven (brewed on the day we spent shadowing Adrian, funnily enough) as the seventh recipe tweak saw them hit pay dirt. It took out the public vote at The Terminus' Victorian IPA-Off and the greatest impediment to its future success would appear to be the beer itself; the hop regime is so voluminous the brewery is practically paying you every time you drink it. If he was concerned that Hawkers may miss out, he needn't have worried. The Reservoir brewery only released one new beer two ways in 2016 and it made our list. The original Imperial Stout received multiple votes; its bourbon barrel aged version one. While the hype online may have been greater for the barrel-aged version – it's higher in alcohol so such things follow like night follows day or lemming follows lemming – the majority of the panel lent towards the original. Beautifully balanced, subtle and elegant, it was a fine New World homage to the English originals that inspired it. Why have one Flanders red style beer in your top ten when you can have two? Boatrocker was another brewery with a number of beers in the mix, with votes for sour saison Yvonne, the Dark Saison and this year's Ramjet (like that beer needs any more praise...). Yet it was the L.A.B. that was the pick of the panel. Brewery founder Matt Houghton has long professed a love for Belgian style ales and this – in which the acronym stands for Lactic acid, Acetic acid, Brettanomyces – is one that he's released in various iterations before. As we said upon its release: "Matt has said his aim at Boatrocker is to 'take on wine' and it's beers such as this that will be leading his charge." If anyone is still considering entering the craft brewing industry in Australia (hint: you'd best be bloody good, well resourced and ready for a battle), then they could do worse than look at how Cheltenham's Bad Shepherd has launched for pointers. The brewpub only opened its doors in late 2015, but a combination of a welcoming home, a core range of colourful yet sessionable beers and regular limited run beers showcased by enthusiastic owners and staff has quickly seen the Bad Shepherd name become established. Of those limited releases, perhaps it's only fitting that the biggest of them all was the one that drew the most votes (the Oatmeal Stout garnered a couple too). 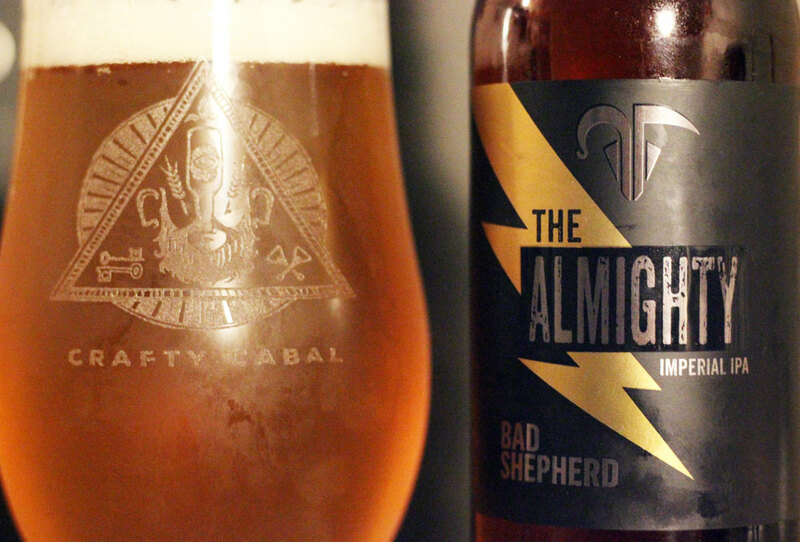 The Almighty is a 9.2 percent ABV, 100 IBU affair that managed to keep its very many parts tightly and impressively wound. While IPAs have been the dominant force in the Australian craft beer world in 2016 (if measured in terms of new releases and hype more than volume sales compared to, say, pale ales), some once almost extinct styles of beer have been enjoying an unlikely renaissance. Among them is the salty, sour gose with its origins in Germany. Nomad's Freshie Salt 'n' Pepper has been leading the way locally, while many more breweries have brewed their first in 2016 (Holgate's Tangelo got a mention during this discussion). This collaboration between two of Yarra Valley's finest makes the ten thanks to Hargreaves Hill and Four Pillars Gin capturing the essence of the latter's botanicals in a light, spritzy and thoroughly enjoyable, summery drop. NB You can read all about gose now and historically in this article. Speaking of gose brewers... As recipes for success go, Sailors Grave might seem one of the least likely imaginable. Former Darlinghurst restaurateurs Chris and Gab Moore have built a sizeable brewery in a crumbling, historic butter factory in Orbost (in rural East Gippsland). 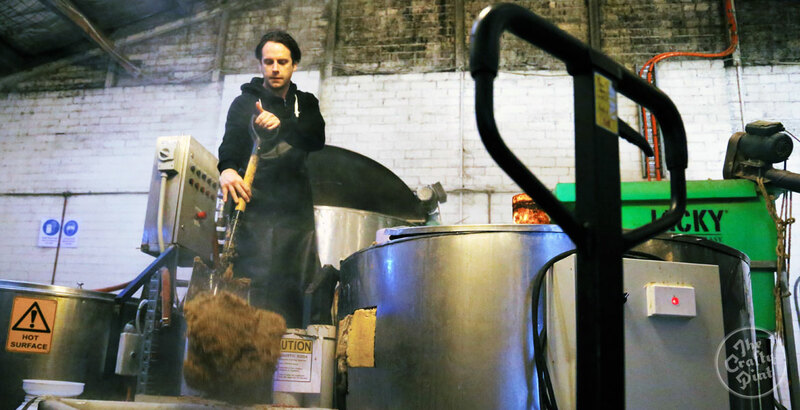 There they brew beers such as a seaweed gose (their session beer), an altbier and a whisky sour Berliner Weisse – just what the local farmers have been crying out for, no doubt. Yet, a few short months into their existence, they're creating quite a buzz around Melbourne (they've only just started to send beers to Sydney as they're brewing, packaging and delivering everything themselves from their remote base while also raising two young kids) and are selling beer by the slab in their local Foodworks. In part, the buzz is down to the idiosyncratic and eye-catching choice of beers, in part it's down to the unique look of their cans (they found a children's illustrator in Cornwall whose work they loved on Pinterest and invited him to live with them for a while to come up with the brand and first 20 can designs) and, we imagine, in part it's down to the humble way in which they've introduced themselves to the beer world. The Mandarin Berliner Weisse was a one-off made possible when a shout out on Facebook brought a local farming family to their brewery armed with 40kg of mandarins. If you're after intense sourness, you won't find it here, but if you want to be met with a huge and enticing wave of fresh fruit with a refreshingly tart beer behind it, this does the trick. Definitely a brewery to keep an eye on in 2017. Given their prevalence in 2016, two IPAs and two double IPAs in the top ten feels about right. And the votes for The Chop came accompanied with vociferous support too; had the top ten not written itself, this IPA would have likely battled through any debate regardless. The name chosen by winemakers-turned-brewers Sam and Dunc (pictured above) refers to the beer being a chopped up mix of influences from different American styles of IPA. But what you really need to know is that, whatever the inspirations, they got the balance of fruity American and Australian hops just right, creating a deliciously lean and mean beer. The rise of sour beer styles threatens to take the limelight away from a style of beer we've been doing our best to champion for a number of years now. But, hopefully, saisons will continue to win over drinkers, given they're so well suited to the local climate (not to mention the dinner table). With Bridge Road Brewers getting its Chevalier Saison ranged nationally in Dan's this year and fellow Victorians La Sirène (whose votes here were shared between its Wild Tripelle II, Soixante and Paradoxe) taking the style as a loose launchpad for all manner of experiments, there's plenty of reason to be hopeful. Another one is the decision of Exit to make this Saison the fourth of its core range beers. It's one that makes great use of the divisive hop Sorachi Ace in a New World take on the style that holds back on neither hop nor yeast character to create a beer as bold as its yellow label. So there you go. Have we brought back happy memories? Have we missed any stone cold classics? And, if you fancy heading back in time, here's our top ten from Victoria in 2015.